It would seem as if China’s preparations for the Solar Minima, which is set to usher in a mini ice age lasting 350 – 400 years, have already been underway for quite some time. 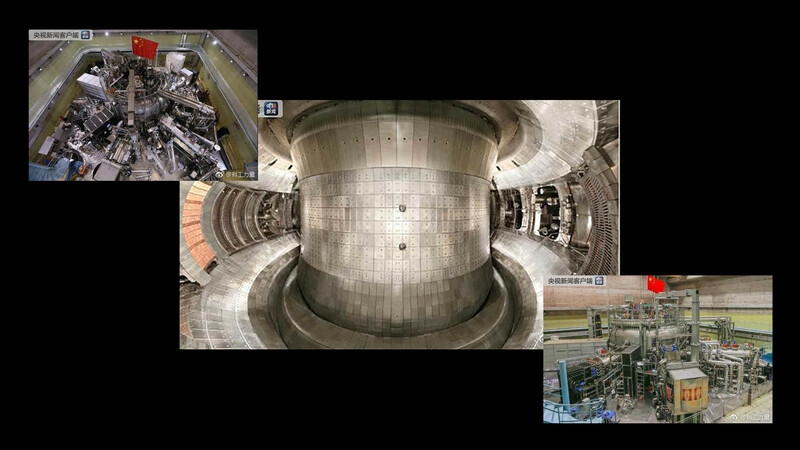 The Experimental Advanced Superconducting Tokamak generated six times the heat of the sun without any long-term emissions. Russia is abandoning its strategy of aligning itself with the West in favor of becoming a part of the East, according to a commentary from Duowei News, a US-based Chinese political news outlet. This push towards Asia and the abandoning of the “Western path” has been spurred by Russia’s nationalist scholars such as political scientist Alexander Dugin, believed to be an important influence on President Vladimir Putin’s foreign policy. Dugin, who founded and heads Russia’s Eurasia Movement, has long envisioned a strategic bloc that would join the former Soviet Union to Middle Eastern countries, including Iran. Hundreds of high-level political figures, CEOs and international experts from around the world explored the economic, political and strategic potential of the region at the third Caspian Forum in Istanbul. Experts and politicians discussed the latest about the Caspian region, particularly efforts to transport its energy resources to an eager European market. Experts described the Caspian as the centre of trade relations between East and West and as the new centre of energy for the world. Is the Cold War Heating Up?